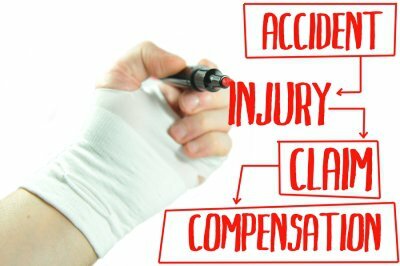 A slip and fall accident can sometimes cause serious injuries, but you shouldn’t have to pay for problems caused by hazardous conditions on someone else’s property. Schedule an initial consultation with a slip and fall lawyer in Riverside to discuss your options. You can expect your lawyer to ask you some basic questions about the case in order to offer sound legal guidance. Do you have a timeline of events? In addition to finding out the exact location, date, and time of the incident, your personal injury lawyer will need to know the general timeline of events. This should include what you were doing before the incident, and what happened before and afterward. Full disclosure of what happened is necessary for your lawyer to provide quality representation. Did you give any verbal or written statements? The slip and fall lawyer may ask you for a list of eyewitnesses to the accident, and the names and contact information of anyone to whom you may have given a statement. For example, let your lawyer know if you filed an incident report with a store manager or spoke with a neighbor in an apartment complex about the hazardous conditions found in a common area. In particular, your lawyer will need to know if you gave any statements to a police officer, security guard, or insurance adjuster. Many people who are injured in slip and fall accidents delay seeking medical care. This might be because they’re in a rush to go about their daily routine or because their injuries do not seem to be very serious. Delaying a medical evaluation is never a good idea; however, for several reasons. First, you may have more serious injuries than you initially realize. Second, the defense may claim that your injuries were sustained after the incident. And third, the defense may claim that if you failed to see a doctor right away, your injuries aren’t as serious as you allege. Your personal injury lawyer will likely ask you to sign a release to grant him or her permission to access your medical records.